Short version: I offer web design, web development, CMSCRM development and GIS development services. I also work as an application developer, database developer and a project manager....Read moreShort version: I offer web design, web development, CMSCRM development and GIS development services. I also work as an application developer, database developer and a project manager. I have been passionate about software development from an early age and started coding in school at the start of the 90s. A decade, numerous short courses and a degree later I was able to produce high quality commercial software. I have worked in most platforms and languages. Having a wide experience of programming and working in other fields allows me to quickly understand requirements and translate them into working systems. My postgraduate studies were in Geographical Information Systems and have developed GIS solutions in .NET and JAVA besides the standard tools. I love maps and new technologies so all kinds of GIS work is welcome. Currently, I prefer to develop web based solutions in .NET. Since I have managed to amass a library of code along with reusable controls and also code generators, it is cheaper for me to stick to .NET. I prefer to work in and have more libraries for C# than VB. 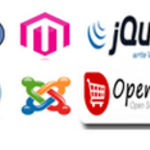 I am able to provide a comprehensive CMS to allow you to update and addupdatedelete all the pages on your site. I also make complex web based CRM and even a combined webCMSCRM system according to requirements. For the design part of web design, I have hired a professional graphic designer. Having a specialist on board along with my marketing experience allows me to also offer all sorts of design services. This also gives me an edge over other application developers as my applications excel in both functionality and look. The web applications I offer range from simple SystemWorkflow automation services to complex spatio-temporal analysis systems.